Axis Of Oversteer: Don't cry for me...Venezuela. 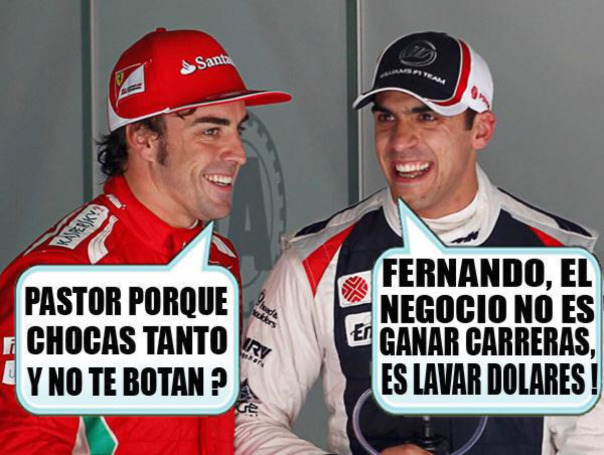 Face it, F1 will be a less exciting place without Pastor Maldonado. How many times have we listened to Bernie Ecclestone propose some bizarre scheme to inject uncertainty into races? He may have never gotten the sprinklers he wanted but he did have Pastor Rafael Maldonado Motta, the embodiment of the uncertainty principle in racing. Pastor became Crashtor, a living meme. 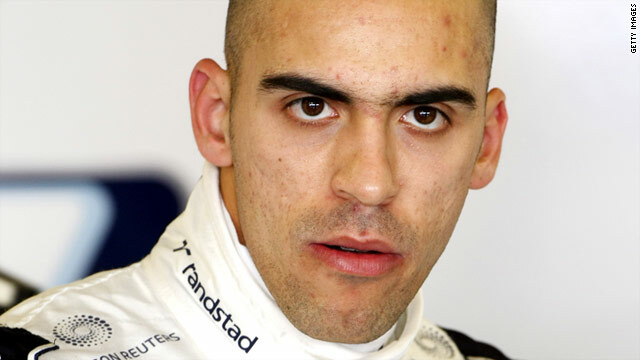 It's easy to dump on Maldonado, his driving, his story, even his looks, he was made to be turned into a villain. The man did not help himself when he started muttering about being sabotaged by his Williams mechanics, echoing excuses given by the incompetent rulers of his country of Venezuela, who blamed their economic disasters on sabotage by the United States. You will not have Maldonado to kick around anymore. But in the end, Pastor will have the last laugh: for all the scorn and ridicule, the man is part of a select club of Grand Prix winners and nobody will ever take that away from him. His one win puts him above the vast majority of drivers and on par with the likes of Alesi, Kubica, Trulli Panis, Cevert, Mass, just to name a few. That Maldonado had speed at one point in his career is without question: in 2010 he won the GP2 championship against an extremely competitive field. 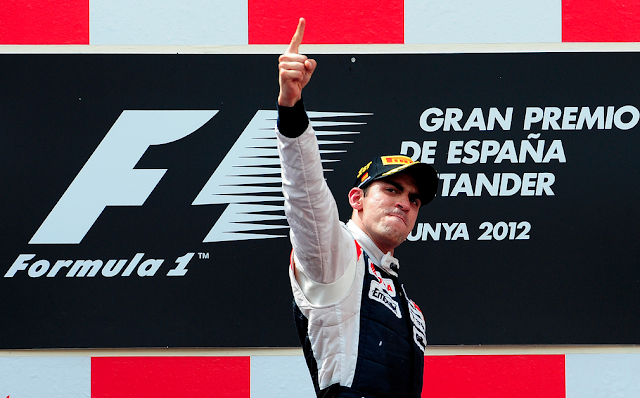 He won 6 races beating future F1 drivers like Sergio Perez, Jules Bianchi , Romain Grojean, Marcus Ericsson . 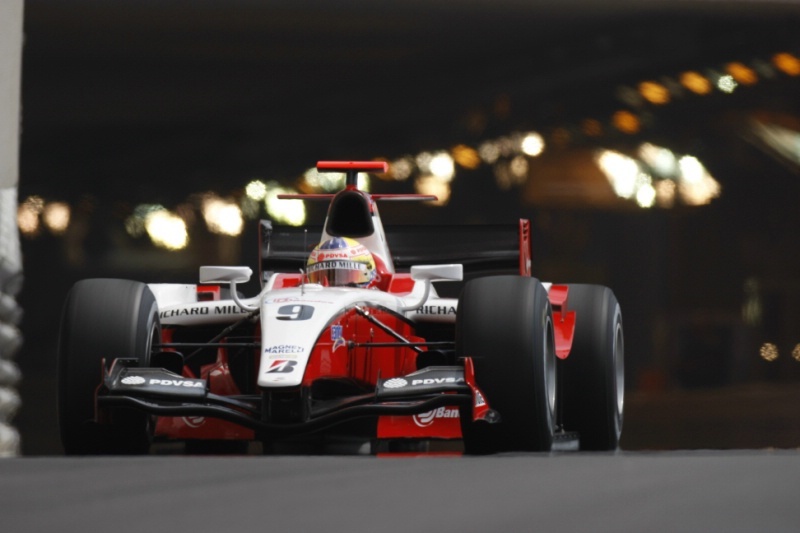 I remember watching him around Monaco and it was obvious he had both speed and consistency. What happened? I imagine he never had the right people around him to temper the craziness that must come with the president of your country handing you a trailer full of money and selling you as the sporting savior of his crumbling country. For sure, F1 will be a bit less ...uncertain.